Official summary: During a summer party at the family farm in the English countryside, sixteen-year-old Laurel Nicolson has escaped to her childhood tree house and is happily dreaming of the future. She spies a stranger coming up the long road to the farm and watches as her mother speaks to him. Before the afternoon is over, Laurel will witness a shocking crime. A crime that challenges everything she knows about her family and especially her mother, Dorothy—her vivacious, loving, nearly perfect mother. Now, fifty years later, Laurel is a successful and well-regarded actress living in London. The family is gathering at Greenacres farm for Dorothy’s ninetieth birthday. Realizing that this may be her last chance, Laurel searches for answers to the questions that still haunt her from that long-ago day, answers that can only be found in Dorothy’s past. Dorothy’s story takes the reader from pre–WWII England through the blitz, to the ’60s and beyond. I've always loved books set in England, especially ones that are set during WWII. Rosamunde Pilcher ( The Shell Seekers, Coming Home)has always been a fave of mine, and I miss her literary voice so much. 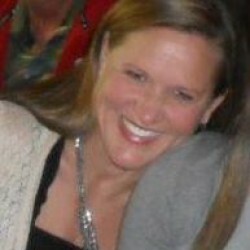 But wow, Kate Morton is filling that void for me. 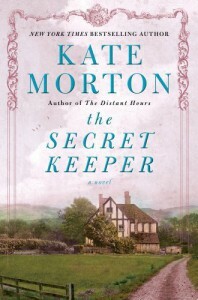 I've read The House at Riverton, The Forgotten Garden, and now The Secret Keeper. I loved this book. Morton is like Pilcher, only with a darker edge, and more cruel secrets to uncover. Honestly, this one kept me guessing until the end and the untying of the final knot was brilliant.I loved the ending. I think because it was an ending I dared not hope for, but it was what I wanted to be true all along.Either way, it threw me for a loop yet made absolute sense. The story gets told through different eyes during different time periods, but each viewpoint thoroughly engaged me. I found myself rooting for, and sympathizing, with each set of eyes.